Classrooms are designed to be child-centered. There are meeting group times and individual connections during the day. Each classroom maintains its own character while coordinated concepts and monthly themes are encouraged for cooperative interactions among all children in the preschool. Our curriculum provides young children with learning experiences through a structured, but fun, safe and healthy environment. The LYA Early Childhood Program helps your child develop the eight domains which consist of; language, literacy, math, science, creative arts, approaches to learning, physical health and development and social/emotional development. The curriculum is enhanced through specialized programming such as library, music and physical education. The classrooms are warm, welcoming, fun and educational with teachers that nurture, support and guide your child/ren. The children are engaged in a daily Judaic program. The Judaic program incorporates Tfilah (Davening), Parsha, holidays and Shabbat with a special Shabbat party each Friday morning. Judaic themes are integrated along with secular themes on a monthly basis. The program is designed to encourage a child’s love of his or her Jewish identity. To encourage the children to form a sense of community, LYA Judaic staff makes it a practice to collect tzedaka (charity), each day. The amount is not important a penny or two each day is sufficient. Our goal is to have it become a daily habit. Each child is encouraged to bring tzedaka to school every day. All three and four year old boys are required to wear a kipa (yarmulke) during davening and meal time. Each boy should have his own kipa, clearly marked with his name. Kipot will not be shared for health reasons. If a child does not have a kipa, one may be purchased in the office for twenty-five cents. 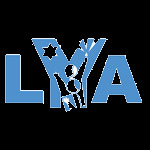 LYA provides a challenging program of study. The implementation of this program is individualized so that the content and methodology established by the school’s educational staff are geared towards the success of each student at LYA. Standards for the development of Judaic curriculum are established through the exploration of a variety of materials published for this purpose. Standards for the development of the secular studies curriculum are based on guidelines established by the Commonwealth in the Massachusetts Curriculum Frameworks and Federal Department of Education. The entire curriculum is defined, refined and expanded based on the expertise of LYA’s Judaic and secular studies staff and is designed to meet the diverse educational needs of our students. Judaic and secular teaching teams continuously work toward the development of consistent behavioral and academic expectations. Teachers integrate curriculum units for academic reinforcement, which allows for assimilation and application of content and skills. Newly revised curricula are available for review in the office. Various enrichment programs are included as part of the academic program and may include art, music, physical education, library skills, and computer technology.